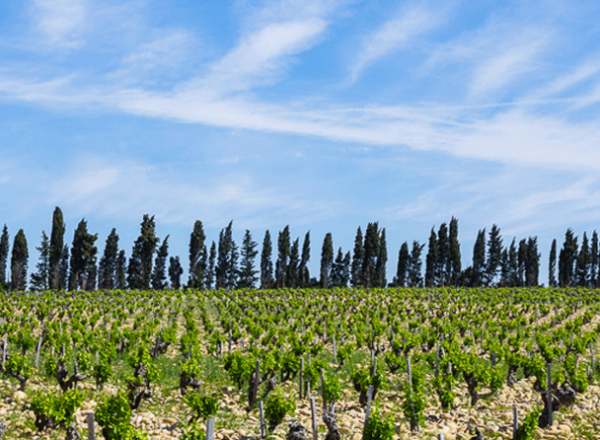 The realization of the Guigal family’s dream of Châteauneuf-du-Pape: three extraordinary vineyards coming together in an intensely expressive, utterly complete wine. 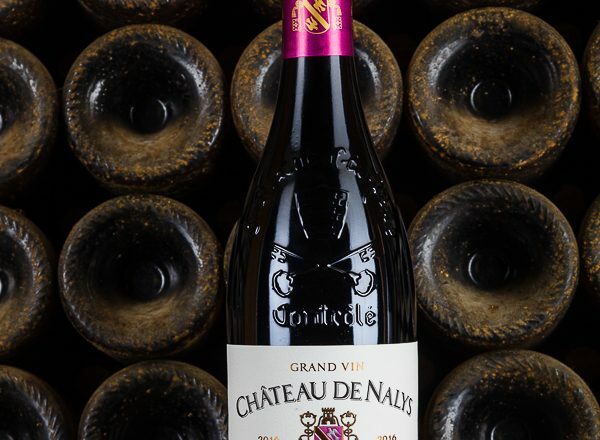 The Grand Vin defines the estate style with a precision of fruit, spice and minerality and notably, a beautifully composed structure that unfolds and builds (and builds). 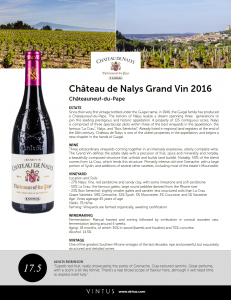 As with all the Nalys wines, the Grand Vin is produced from all three vineyards, but notably 50% of the blend comes from La Crau, which lends the intense structure. 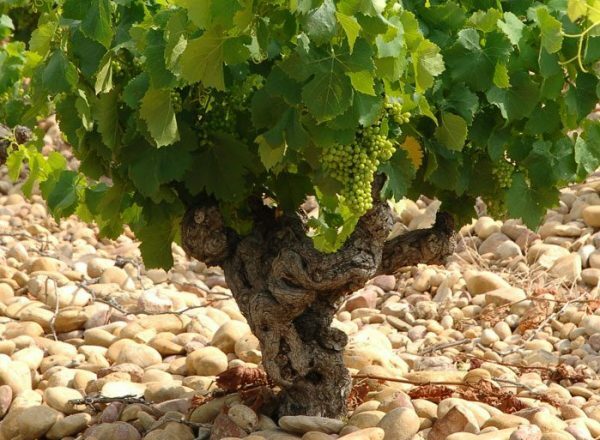 The wine is primarily intense old vine Grenache, with a large portion of Syrah, and then additions of several other varieties, including most of the estate’s Mourvedre. 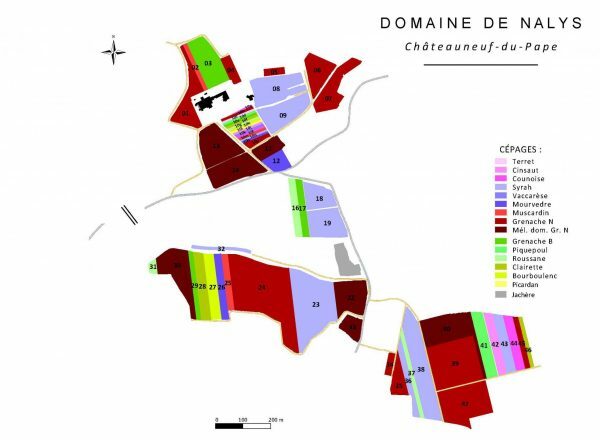 The composition is 27% from the Nalys vineyard, 50% from La Crau, and 23% from Bois Senechal, from vines averaging 45 years of age, with the typically low yields of Châteauneuf-du-Pape of 35 hl/ha. 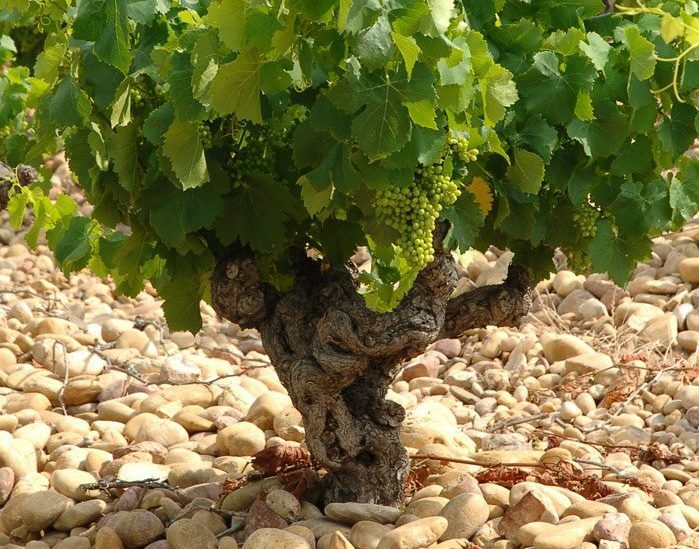 The grape varietal composition is 59% Grenache, 32% Syrah, 5% Mourvedre, 3% Counoise, and 1% Vacarese. 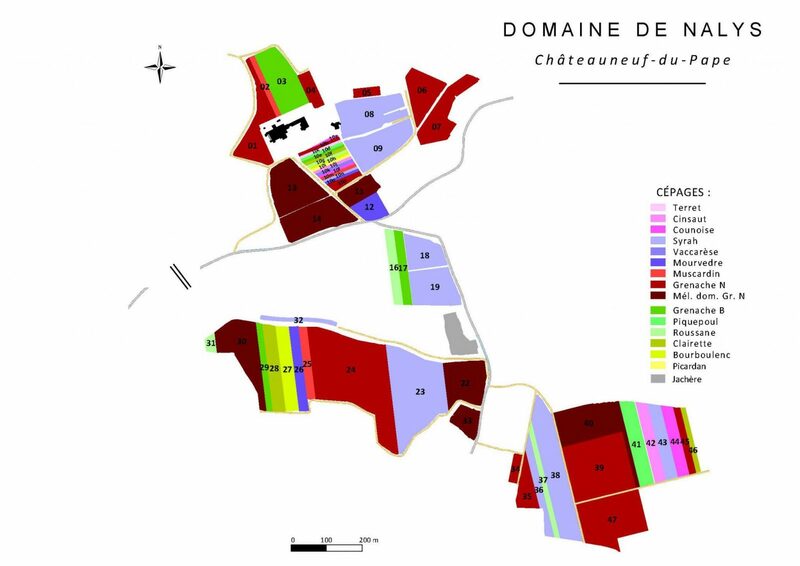 All 13 permitted Châteaneuf grapes are planted on all 3 vineyard plots at Nalys. 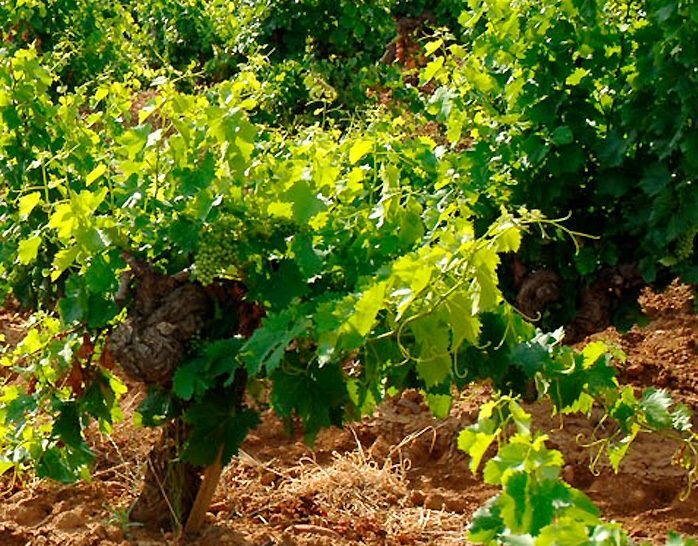 Surrounding the estate, the “Nalys” vineyard has very fine soils that create supple wines that are extremely silky and retain freshness. These are some of the oldest soils in Châteauneuf, underlying many of the other soil compositions in the appellation, made up of red sandstone, a sandy clay soil, and covered limestone with some soft sandstone at the vineyard edges. 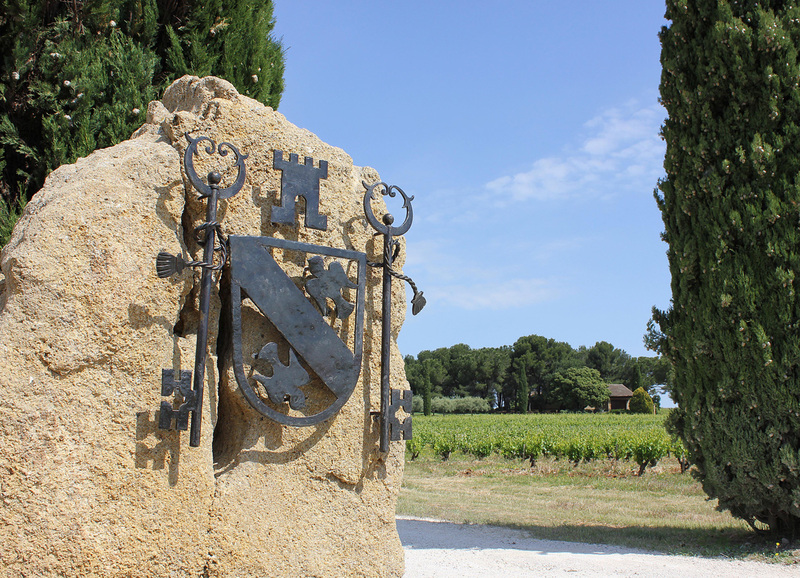 This plot is directly adjoining – over the hill – from Rayas, the great example of finesse in Châteaneuf. Official lieu-dit in land registries is “Grande Pierre”. 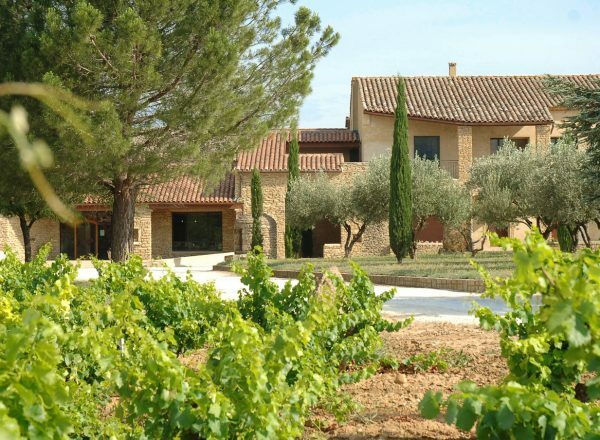 “La Crau” is arguably the single greatest vineyard in Châteauneuf-du-Pape, and Nalys has 38 acres located as a single center-north block. 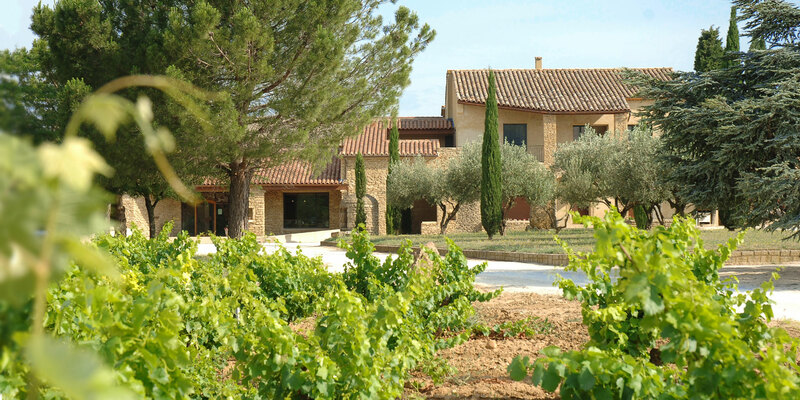 It is famous specifically for structured, complex and intensely expressive wines. 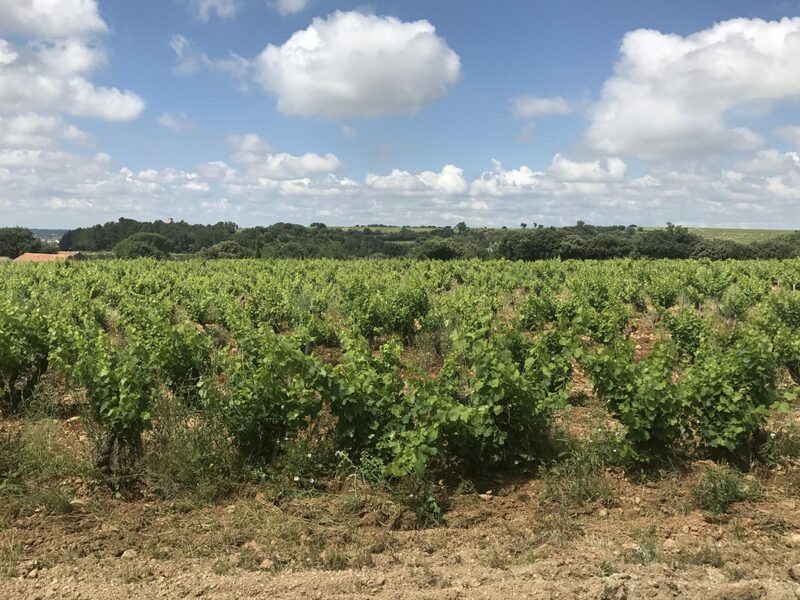 Naly’s holdings are the highest elevation of the Crau plateau and bordering forest they own, providing slightly cooler temperatures and ideal drainage – the sweet spot. The soils are made up of the famous galets: large round pebbles derived from the Rhône river. 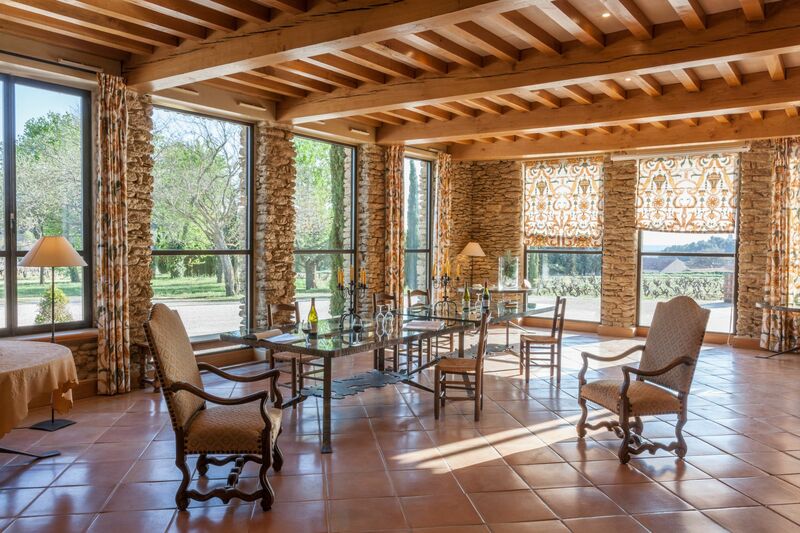 Direct neighbors are Henri Bonneau, La Janasse (used for their Vieilles Vignes), and other leading properties. Adjoining La Crau, Nalys is the sole owner of the top of the plateau. 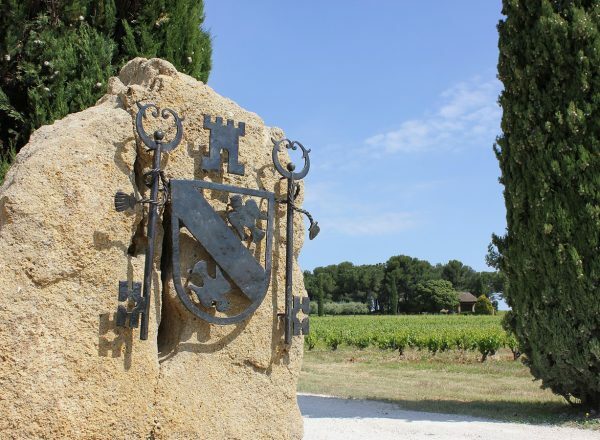 Like La Crau, containing galets, though slightly smaller stones, and sandier soil composition; the wines are slightly less structured, more evenly composed. 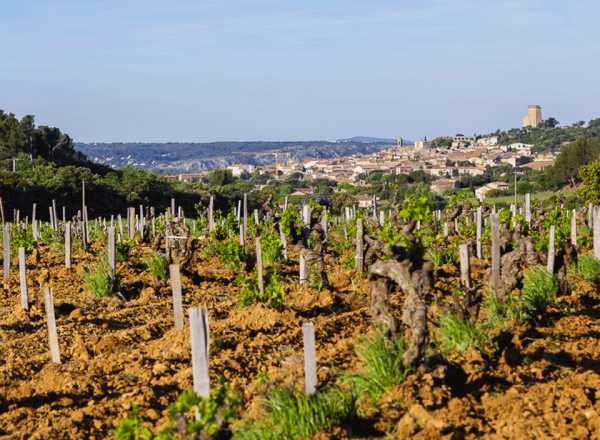 The site of their best Mourvedre plot, Bois Senechal also has fairly unique terraced vines in rows sloping back to the winery. 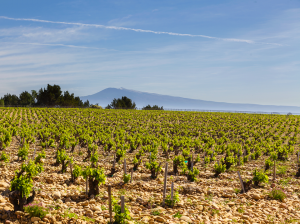 Neighbors are further below the plateau, Mont Olivet, Domaine de la Solitude. 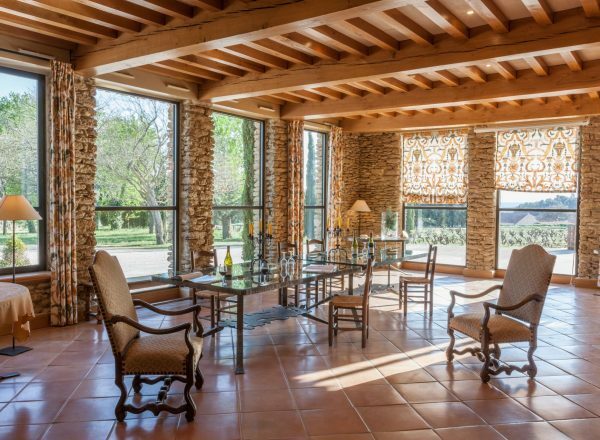 Official lieu-dit is “Bois Seneseau”. 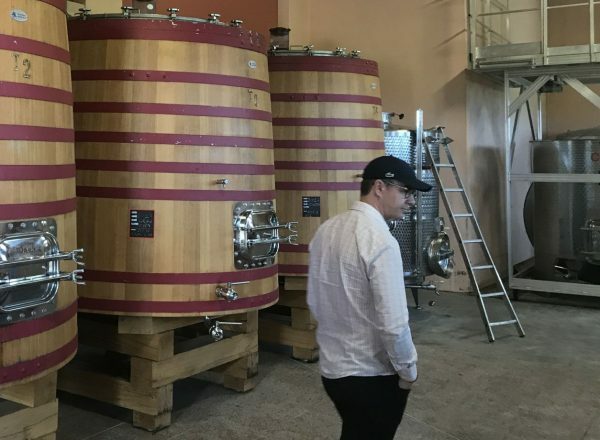 Manual harvesting and sorting was followed by vinification in conical wooden vats, with fermentation lasting around 4 weeks. 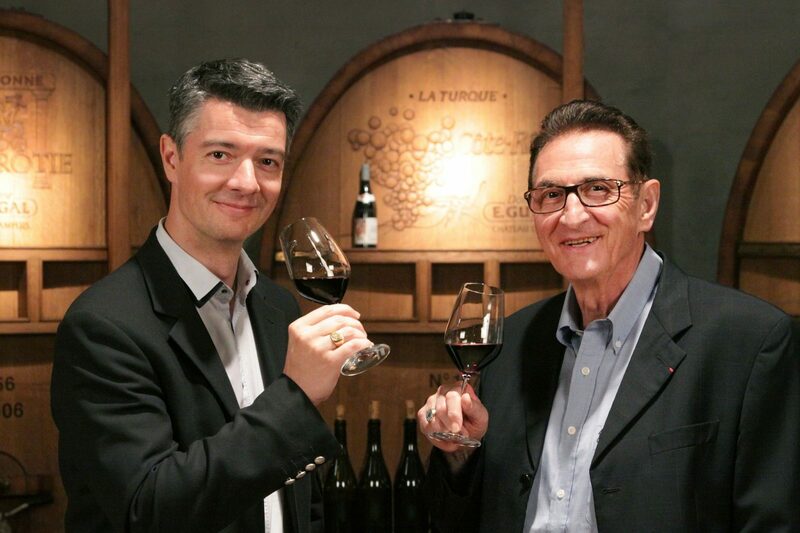 The wine was then aged for 18 months, of which 30% was in wood (barrels and foudres) and 70% in concrete. Deep, dark and dense red color. An intense nose of red and black berries and spice. 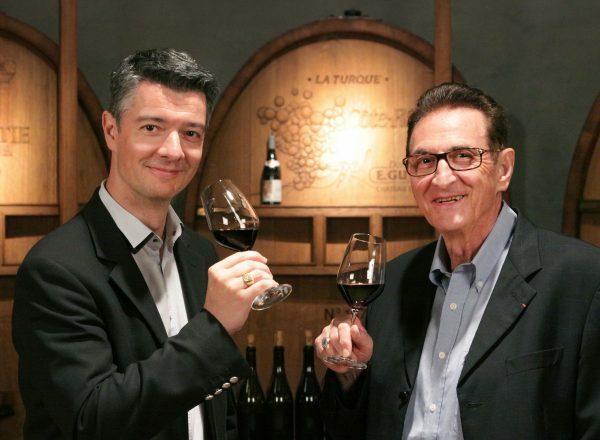 A beautiful composition, with silky tannins, power and elegance. Expressive, noble and complete. Pair with red meats either grilled or cooked in sauces, game birds, or aged cheeses. 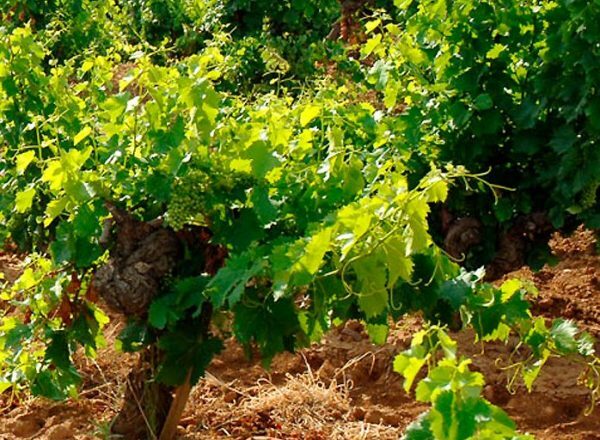 Vineyards are farmed organically, awaiting certification. Wine Spectator - "This is a fleshy and dense offering, with layers of warm cassis, plum sauce and cherry preserve flavors seamlessly entwined, while warm fruitcake and melted red licorice notes fill in through the finish. There's a whiff of smoky tea at the very end, while the fruit plays out." 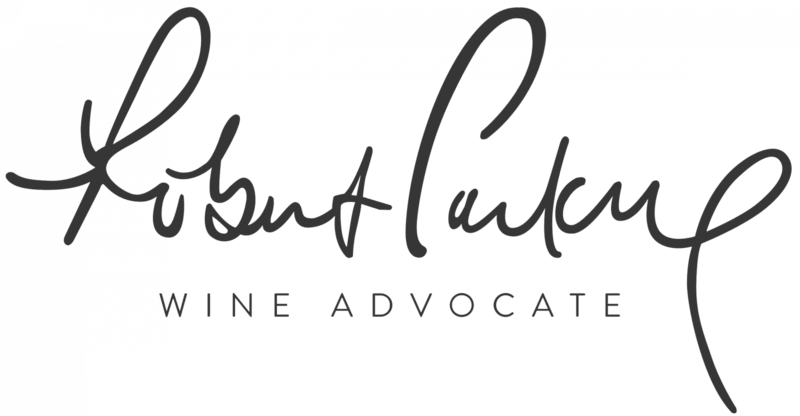 "Superb red fruit, really showcasing the purity of Grenache"
Jancis Robinson - "Superb red fruit, really showcasing the purity of Grenache. Clay-textured tannins. Great perfume, with a scent a bit like fennel. There’s a real broad scope of flavour here, although it will need time to express itself fully." 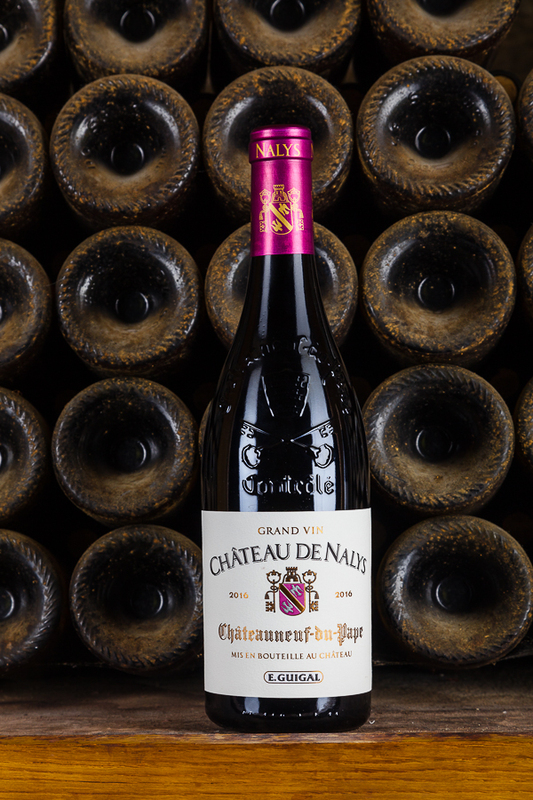 Translated as "holy stones", a play on the soils and history of Chateauneuf-du-Pape, the second red wine to Chateau de Nalys is an altogether different animal. 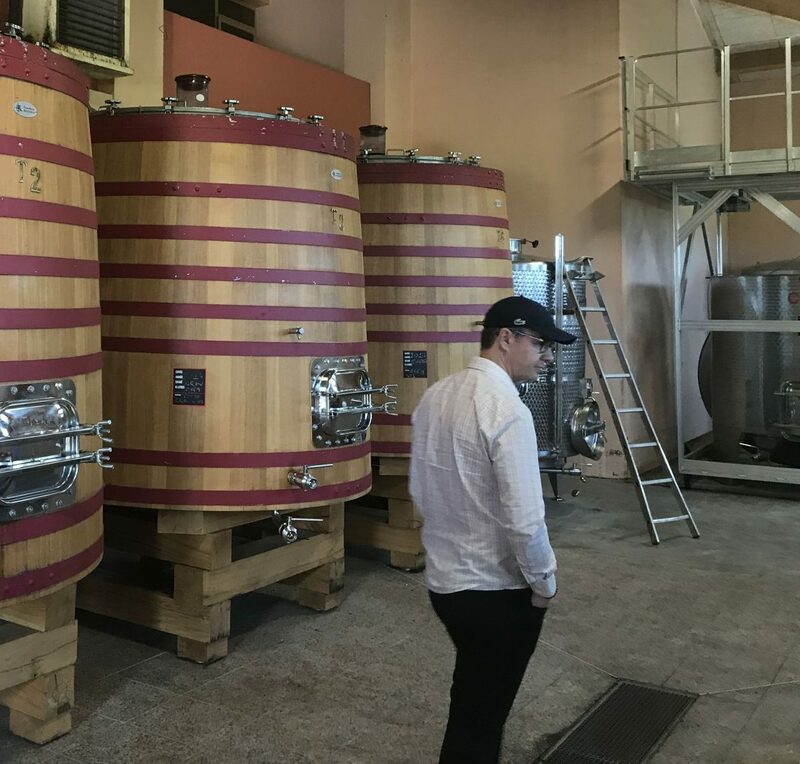 Differing varietal and plot selections, fermentation, and aging result in a wine that is rich and ample, yet offers immense direct and approachable pleasure; a wine of red fruits, supple structure and brightness. The second white wine to the Chateau de Nalys Grand Vin Blanc has a character all its own, with a strongly different varietal and plot composition, and like its red Saintes Pierres counterpart, a fermentation, and aging geared towards emphasizing freshness. The hallmark seamlessness of Guigal's white wines is especially evident in this wine, which is unlike any Chateauneuf white we have experienced in its grace and lift.